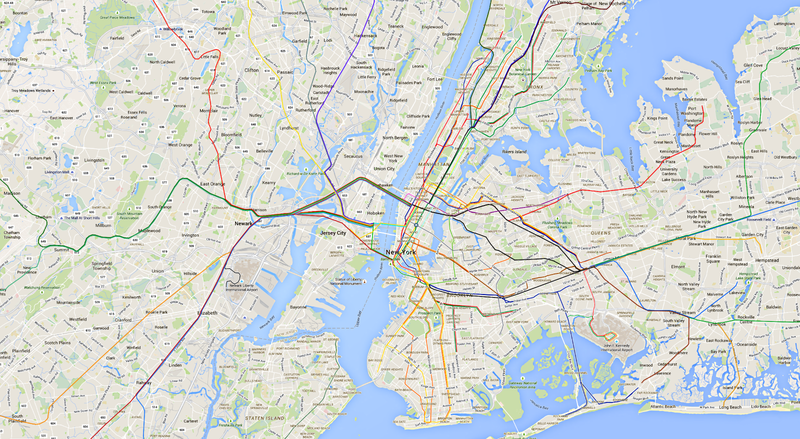 I couldn’t find a map that showed where all of NYC passenger trains went, so I threw one together. 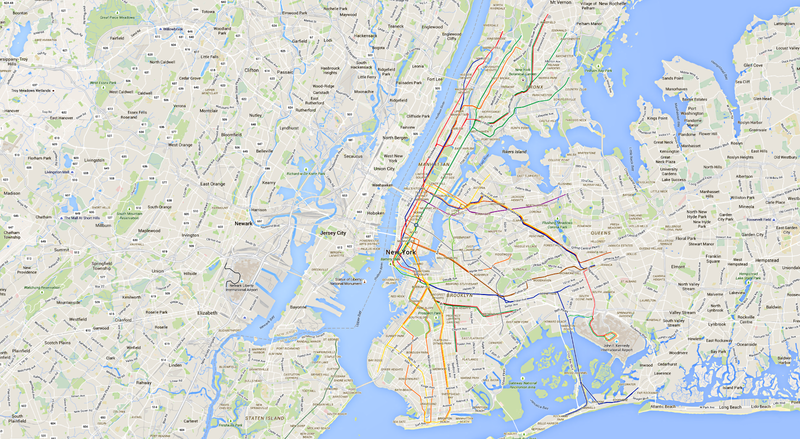 It includes the subway (including the under construction 7 line extension and 2nd ave line), the LIRR, Metro North, PATH, and NJ Transit, though only in a very localized area around New York City. This entry was posted in Uncategorized on 2015-05-28 by andrew.